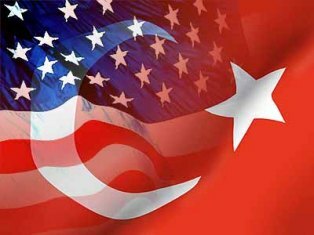 Amidst a almost total western media blackout, Turkey and the US have initiated a military invasion in Syrian territory. On Wednesday evening, the Turkish army reportedly entered Syrian territory near Jarablus. US troops took control of Rmeilan airfield in Syria’s northern province of Hasakah. It’s unclear what are the real objectives for western military operations on Syrian soil According to the latest news, a major Turkish intervention is expected. ‘US troops have taken control of Rmeilan airfield in Syria’s northern province of Hasakah to support Kurdish fighters against the Islamic State of Iraq and the Levant (ISIL) », a spokesperson for the Syrian Democratic Forces (SDF) told Al Jazeera on Tuesday. The airfield is close to Syria’s borders with Iraq and Turkey. Syrian Local Coordination Committees say that the US has been preparing and expanding Rmeilan airport for a while now. When asked by Al Jazeera, a US CENTCOM media operations officer did not confirm or deny the reports. According to information received by Sputnik on Wednesday, Turkey has been amassing military units along the Syrian border. The number of troops is estimated to be around 1,000. The troops have reportedly crossed into Aleppo province, according to Hawar News, along with military vehicles, heavy equipment, and mine detection gear. Turkey has denied reports of an invasion, but reports from the ground confirm the military incursion. The Turkish operation is « officially » aimed at combating Daesh (ISIS) militants, who have fortified Jarablus. But sources tell Sputnik that Ankara may be more interested in preventing the YPG from gaining a foothold in a region of strategic importance. Various reports indicate that Ankara could soon (if it has not already) launch a ground operation in neighboring Syria, confirms Sputnik on Thursday. « Turkey has already begun to ramp up its artillery strikes along its border with Syria to help its rebel allies and to destroy Islamic State targets. This could indicate an effort to soften enemy defenses ahead of a Turkish ground incursion once minesweeping operations have been completed, » Stratfor explained. « Ankara’s ground operation – if launched – could deal a blow to Daesh. But many experts and politicians have pointed out that Turkey views dealing with the Kurds, not the terrorist group, as its key priority. The offensive than « would also strengthen the [Turkey-backed] rebels in northern Syria, in turn preventing the Kurdish People’s Protection Units (YPG) from expanding their reach westward, » Stratfor noted. RT reports that ISIS terrorists have increased their activities ahead of next week’s inter-Syrian talks, with insurgents in the Syrian province of Aleppo receiving reinforcements from Turkey, Russia’s Foreign Ministry said on Thursday. The much-anticipated talks between the Syrian government and different opposition groups are scheduled to take place in Geneva on January 25. « Unfortunately, in recent days, it’s especially noticeable that ahead of the planned start of the inter-Syrian negotiations in Geneva the activities of terrorist groups have intensified. Obviously, they’re trying to turn the tide in their favor on the battlefield,” Foreign Ministry spokeswoman Maria Zakharova said during a briefing in Moscow. « While all parties involved pin their hopes on the start of a meaningful and… inclusive dialogue between the Syrian government and the opposition, external forces continue to help militants in Syria, including terrorist groups, providing them with arms and ammunition, » she stressed.